Today we released a new minor update of the Imixs-BPMN Modelling Plugin for BPMN 2.0. This update contains some layout improvements and also updates to the latest Mars release 1.2.3 of the BPMN2 Plugin. The new Imixs-BPMN Plugin now also provides a new feature to model schedule events by defining a time-period/delay in workdays. This new modelling feature will be supported with the next upcoming release of Imixs-Workflow 3.7.0. The Imixs-Workflow project provides a new tutorial explaining how a human-centric workflow can be modeled with Imixs-BPMN. Imixs-BPMN is a BPMN 2.0 modelling tool based on the Eclipse Platform. The BPMN Tool allows to design workflow models in a very flexible way. The BPMN 2.0 standard elements are extended by Imixs-BPMN providing custom task and event elements. The tutorial explains how to model typical scenarios of a human-centric workflow. Those models can be executed immediately in the Imixs-Workflow engine. See also the project ‘Imixs-Office-Workflow‘ an an example of an integrated workflow suite. The next upcoming Update of Imixs-BPMN includes a new functionality concerning the security API of Imixs-Workflow. With the new version it will be possible to define an ACL for a process instance on the Task level in a BPMN diagram. In earlier versions this feature was only available on the Event level. With this extension now setting the ACL for complex process models is more easy and models can be created faster. In addition the new release also includes a bug fix concerning the ImixsCatchEvent. The Imixs-BPMN Plugin can be installed from the Imixs-BPMN UpdateSite or directly from the Eclipse Marketplace. 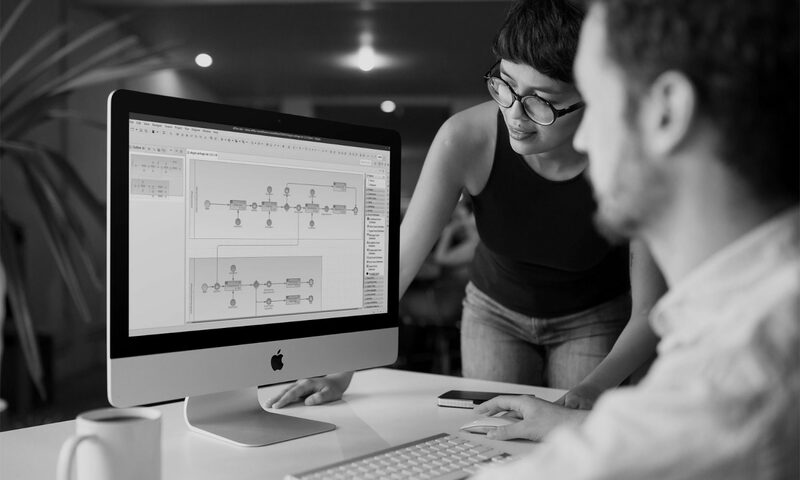 With the latest version of Imixs-BPMN the Imixs GmbH provides now a free BPMN modeling tool for modeling workflows according to the BPMN 2.0 standard. Using the BPMN 2.0 standard, business processes can be documented even faster and more clearly. BPMN provides an easy notation also to discuss complex business processes together with all participants involved in the process. With Imixs-BPMN these processes can now be executed directly in a professional workflow management solution. Complex business processes and changing business models can be managed with Imixs-BPMN in a flexible and transparent way. With the combination of Imixs-BPMN and the open source solution Imixs-Workflow, all types of workflows can be easily modeled and executed in a robust and scalable workflow management software. Also existing BPMN models can be enhanced with the capabilities of a wokflow management solution. Imixs-BPMN extends the Eclipse BPMN2 Modeling Framework which provides a powerful modelling solution based on the Eclipse platform. The Imixs Software Solutions GmbH located in Munich has specialized in the development of professional business process management solutions and supports companies implementing their custom business processes. Due to the consistent focus on open source, Imixs-Workflow provides a clear cost advantage. No license or update costs incurred in the use of this solution. With its service concept, the Imixs GmbH offers a transparent business model which combines the advantages of a modern software platform with a professional consulting concept.